Get over the counter Viagra from pillmerit.com Canadian pharmacy. In 1961 Ken and Kathleen Otto fulfilled a lifelong dream by purchasing their own business, Pine Lawn Hardware & Appliance in North St. Louis County. The store was a cornerstone of the community, servicing the hardware needs of North County. Several years later Ken and Kathleen had a desire to expand and build from the ground up. They chose the city of Florissant, specifically Lindbergh which at the time was a two-lane road surrounded by farmland. In 1967 they opened the first Handyman True Value Hardware, providing hardware and customer service to a rapidly growing community. In 1984, Ken Otto purchased Airport Lumber at 500 West Washington in Florissant and converted the building into an additional Handyman Hardware store. 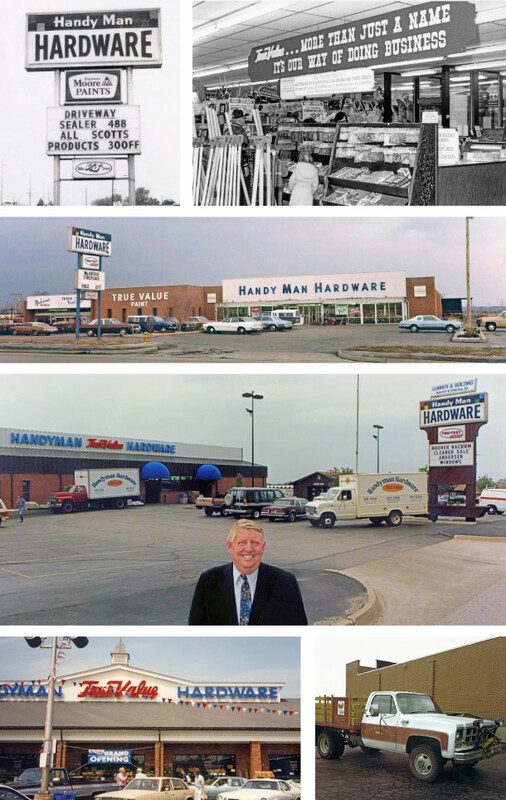 Following a desire to expand to another part of the St. Louis area, in 1990 a third Handyman Hardware location opened for business on Telegraph Road in Oakville. Now celebrating over 48 years, Handyman remains a locally and family-owned business. Servicing the St. Louis area with three locations, two in North County and one in South County, Handyman continues to be your helpful neighborhood hardware store for service and selection.